With its easy operation, sub-$23,000 starting price, high reliability and excellent resale value, the Honda Accord sets the benchmark for midsize sedans. And while it may not have the trendiest design, the Accord is available in a variety of forms, from a range of sedans that include a 50-mpg hybrid to a sporty coupe with an available V6 engine. Great, fuel-efficient, safety, and roomy car. I love my car very much. It has been very reliable so far. No issues big or small. It has the latest technology. Bluetooth capabilities and both a rear view and side view cameras, which makes the vehicle safer to drive. It also has USB ports that allows you to connect to a media device and to charge your phone. The back seat and trunk is very roomy. There is so much space for such a "small" car. Leg space is ideal if you, friends, or family are very tall or need a lot of space. There's an economy feature in the car as well. This makes the car very fuel efficient. I have long commutes for work and can average around 42 mpg on the highway. Overall, highway + inside roads for me is approximately 33 mpg, which is pretty great! Engine runs pretty smooth. I love everything about it. Honda Accord sport, 4 door, navy blue. It is the 3rd Honda I have owed. I love them. They are reliable and the Accord offers me the space and room I need for family and friends to travel with me. The back seats fold down so I am able to carry longer and larger items, like lumber, or bikes. Honda offers a varsity of color and designs as well as different comfort choices. When I need a repair, it is easy to find a mechanic to work on a Honda due to their popularity. My Honda is a Honda Accord sport edition. It is a 4 cycle, but you would never know it. I traded a six cycle, 2 door Honda Accord and was concerned I was giving up some power, but I haven't experienced any, so I am happy with my choice. I also like the ability to turn the eco friendly mileage on and off as needed. 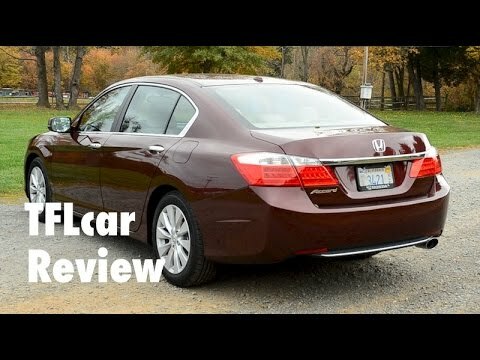 The Honda Accord sport 2015 is very comfortable and spacious. I highly recommend this car if you are looking for a car to travel in or simply an everyday reliable car. I have had no problems at all so far. I have traveled thousands and thousands of miles and hadn't had any problems, its very reliable. There has not been any mechanical or technical problems at all, very easy to maintain, I rarely do anything besides the basic check ups. It's been an outstanding car. You'll love it!! This car will last you for a really long time. And for those long distance drivers/travelers this car is for you there's lots of space for everyone and so much comfort it's indescribable! The driver's seat is adjustable by button, it's so nice!